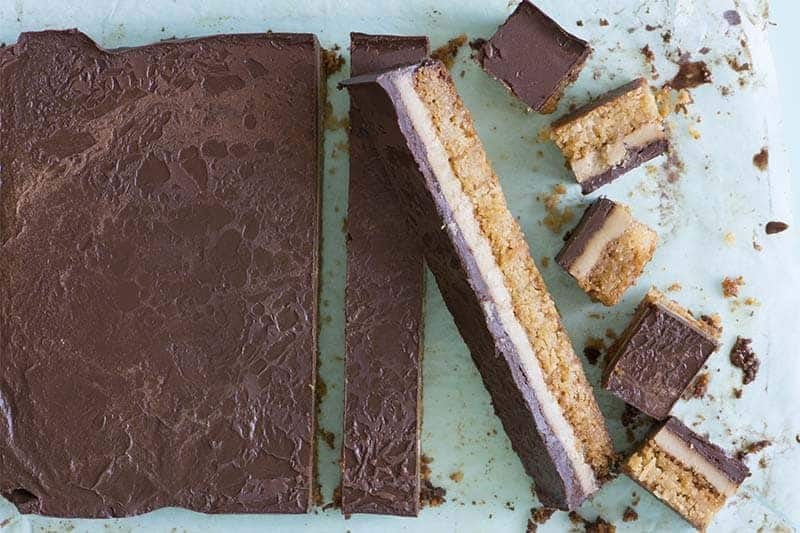 The Chocolate Caramel Slice is such a favourite Australian sweet treat, so it was with great pleasure that I developed a SIBO-friendly version for Donna. She made contact with me and asked if I would develop a version that was suitable for the SIBO Bi-Phasic Diet. After a few emails back and forth to ascertain what she could tolerate, this beauty was developed. 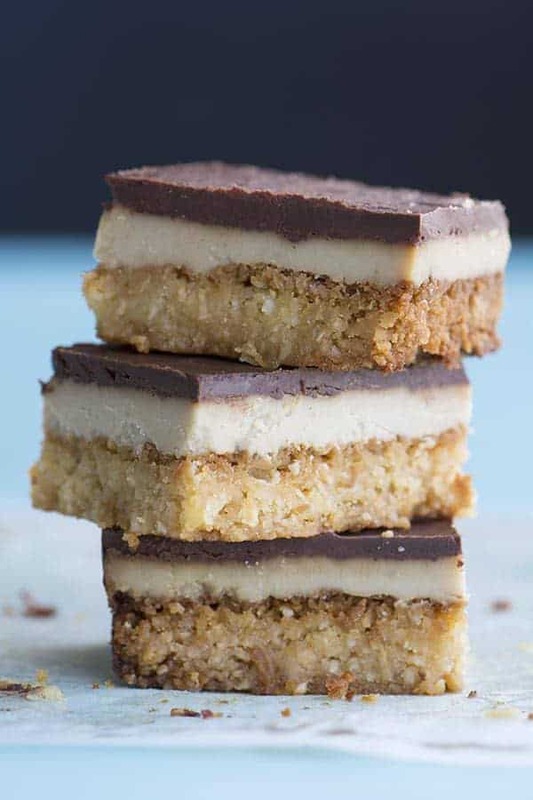 The SIBO Chocolate Caramel Slice uses an almond and coconut biscuit base, which is baked until crispy. If you can't tolerate almonds, use another mild tasting nut flour that you can tolerate. The traditional slice uses sweetened condensed milk for the caramel filling, but this is off limits on a SIBO diet. I condensed full fat coconut milk until it was nice and thick, sweetening it with a bit of honey. Make sure you use full fat coconut milk rather than a low fat/lite version. You want the fat content to be high, as this will help the caramel become nice and thick. If you can't tolerate honey, use a sweetener you can tolerate. The chocolate topping was made from a mixture of coconut oil, raw cacao powder and stevia. If you can find a 100% cacao chocolate that hasn't been sweetened with sugar and doesn't contain soy, you may like to melt this and use it instead of a coconut oil topping. 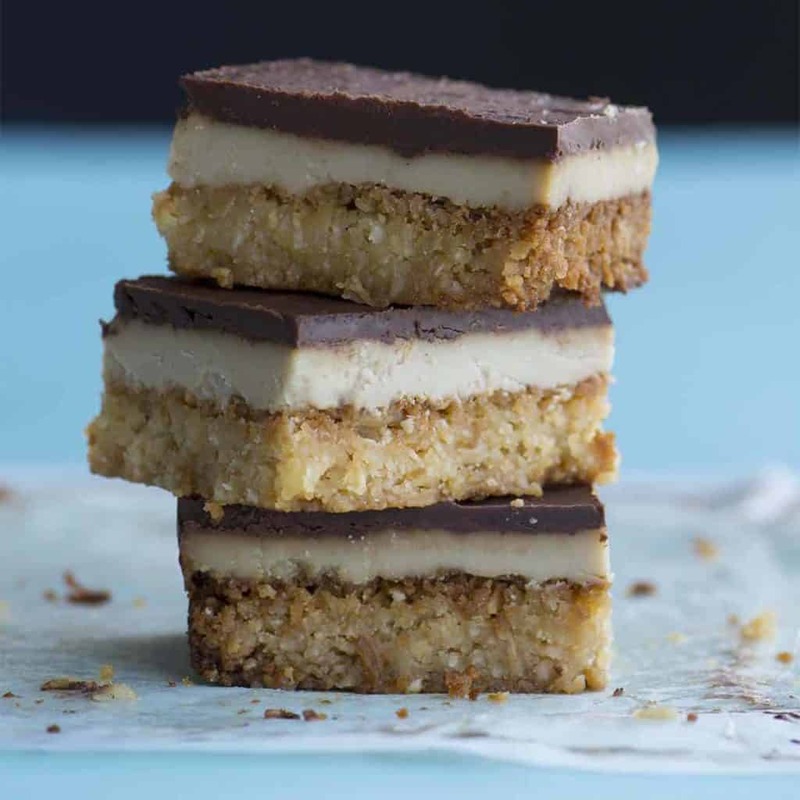 While not as sickly sweet as a traditional Chocolate Caramel Slice, this treat is sure to please your taste buds while not providing too much sugar for your SIBO. This is special occasion food and should be portioned up so you are not tempted to overeat it. Better yet, share it with friends, family or even work colleagues. It makes a gorgeous food gift, perfect at this time of year. Do you have a recipe you'd like me to make SIBO friendly for you? Simply drop me an email and let me know what you need help with. Want more family favourites recipes? 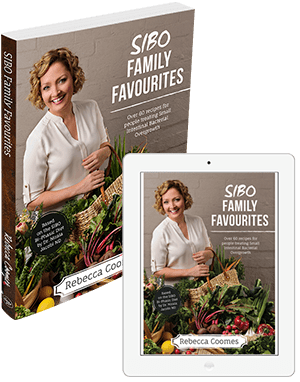 The SIBO Family Favourites eCookbook is crammed full of family-friendly meals that the whole family can enjoy together. All recipes are based on the SIBO Bi-Phasic diet by Dr Nirala Jacobi ND and clearly list what phase they are suitable for. All recipes are 100% gluten-free and soy-free. There are dairy-free, grain-free, sugar-free and low FODMAP options available. Order your copy today and choose between an eCookbook or a hard copy one to scribble in, like we do! Would this still work if using coconut butter or oil instead of normal butter? I haven’t tested it yet with coconut oil instead of dairy butter, but it should work. Let me know how it goes! What size is the pan that you bake this in? I use a slice/brownie tin which is 27.5cm x 17.5cm. Happy baking! What kind of coconut milk do you use? Hi Michelle, I use Ayam coconut milk in a can. You want to find a brand that is 100% coconut (or only contains water). Avoid brands that use gums or thickeners. You want a thick style coconut milk, not a coconut drink that is often found in cartons. I hope that helps! Hi Linda, I’m sorry to hear that and am surprised that you found it to be tasteless. Can you tell me what products you used to make this slice? I’m wondering if it was the ingredients that had that impact on the flavour, as when I have made this dish it has definitely had a lot of flavour to it. Did you also cook the coconut milk long enough? It should come out lovely and thick with a delicious caramel flavour to it.